Web Site Hosting $14.99 per Month. To sign up Click Here. All of our high speed web site hosting plans come with their own "Intranet" which allows you to add email addresses, redirect email, automatically respond to incoming email, setup scripts, and modify your web site from a single control panel. 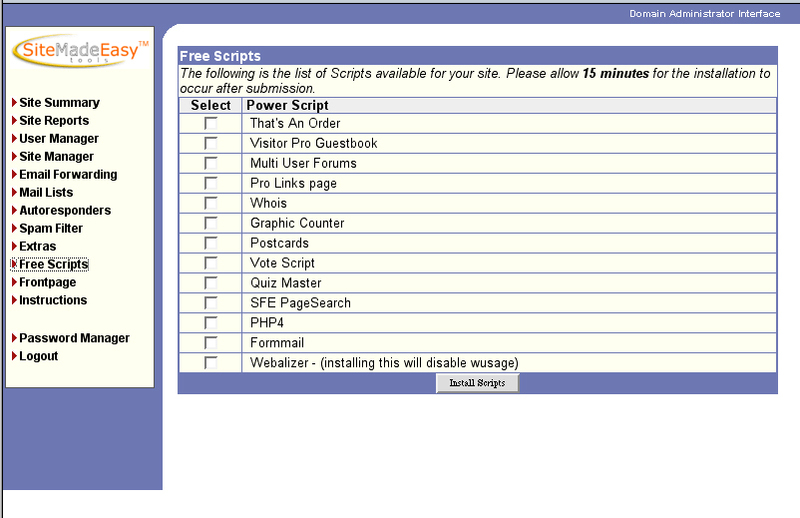 We also offer a bundle of other plug ins for your web site that include search engines, guest books, single page merchant order form, graphics counter, form processing script, postcards program, SquirrelMail, and a complete web statistics program with graphs. To Compare Plan Details Click Here. Free setup by ordering online (value $50.00). $14.99 per Month. To sign up Click Here. 300 megs of disk space. 8 gigs of web site traffic per Month. SquirrelMail for viewing, editing, forwarding, and auto responding to incoming and outgoing email. Equiped with Ensim's built in Intranet for managing sites web site including stats. $25.00 per Month. To sign up Click Here. 400 megs of disk space. 10 gigs of web site traffic per Month. $50.00 per Month. To sign up Click Here. 500 megs of disk space. 15 gigs of web site traffic per Month. Easy to use login for viewing, editing, forwarding, and auto responding to incoming and outgoing email. 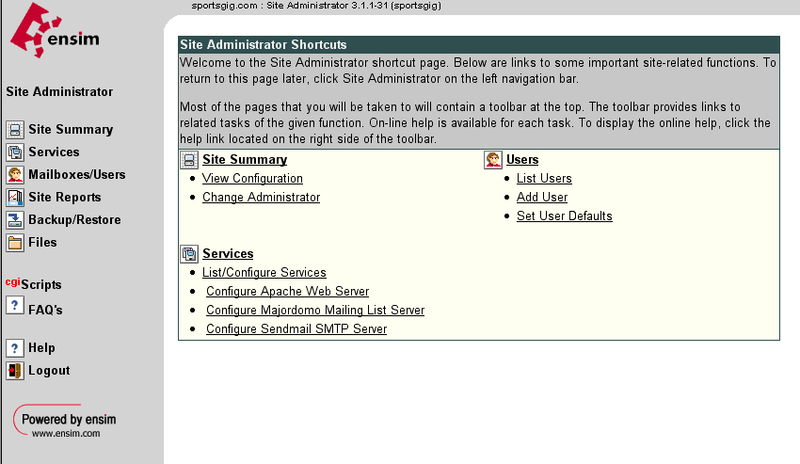 Built in Intranet using Site Made Easy. Click on image to see Control Panel. Starting at $205.00 per Month. To learn more click here. We also offer dedicated servers in addition to our high speed shared servers along with a variety of ECommerce, Cold Fusion, and SQL Solutions and applications. If you need to register new site or check on availability please go to Name Registrar's interface. This link will automatically assign web-site to our domain servers listed above, and can be changed at sign up or any time later.